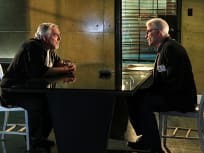 John Ratzenberger guest stars when a club owner is questioned in connection to a deadly fire on CSI. On CSI, the team investigates a murder / robbery during a high stakes poker game. "The Devil and D.B. 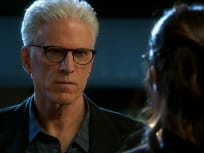 Russell"
On the season 14 premiere of CSI, Morgan Brody is being held captive as the CSI team rush to save her. 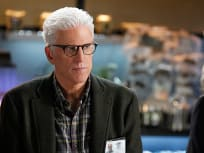 On the 13th season finale of CSI, the team investigates a series of murders resembling the sins in "Dante's Inferno"
When a professional ghost hunter is killed, the team investigates on CSI. 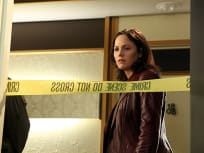 The team investigate when a body is found in a mud bath a popular spiritual retreat while Hodges has concerns about his upcoming marriage on CSI. When a six year old girl is the only witness to multiple homicides, Russell must find a way to get her to come out of her shell on CSI. When a body is found in the forest, the team may have uncovered a serial killer's burial ground on CSI. The prom queen at David Phillips high school reunion is murdered on CSI. Due to a brief interaction with the victim, Sara becomes a suspect in a murder investigation on CSI.